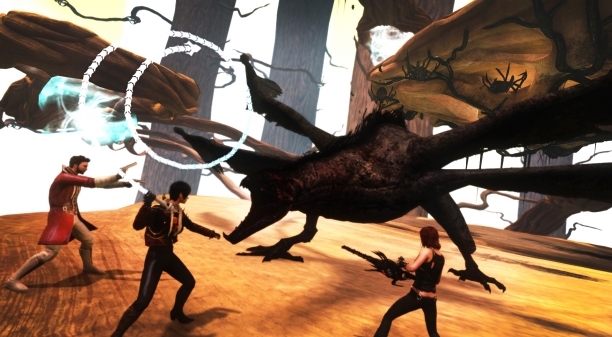 The final showdown in Agartha takes place now in Funcom‘s The Secret World. The last chapter of the extensive Whispering Tide event has come, and now the players must face a huge 40 man raid challenge to defeat the invasion of Filth. The devastating Filth has been corrupting the world tree itself as it emanates from its source in Tokyo. But the community of players has been fighting against this invasion in a series of collaborative in-game events and is driving the enemies of Gaia back. This latest chapter in the event chain will run until victory has been achieved and the portal to Tokyo has been cleansed. The players will then gain entry to the upcoming Tokyo area when Issue #9 is released. The Whispering Tide event does not only offer great rewards in the form of epic gear and unique outfits, but this challenge also gives the players the chance to win powerful raid loot. Battle the monstrous Filth Guardian in this all new raid event in Agartha. Team up with other players and get help from Zuberi himself to take on the 40 man raid challenge. The Raid fights are available every three hours, and are open for half an hour at a time. Players of all strengths and qualities are needed – there are no requirements to join. You will not only fight to cleanse Agartha of this massive Filth invasion, but also for power and riches. This last chapter in The Whispering Tide offers you the chance to earn epic raid loot of immense power by defeating the Filth Guardian. Be sure not to forget that access to Tokyo will be the final and ultimate reward at the end of The Whispering Tide. This last phase of the event will run until the Agartha portal to Tokyo opens. This entry was posted on Tuesday, February 11th, 2014 at 8:24 am and is filed under Mature, National News, New Releases, RPG - MMORPG. You can follow any responses to this entry through the RSS 2.0 feed. You can leave a response, or trackback from your own site.